I have never done a book review on my blog, and I’ve read a lot of books on health and biomedical treatments. Why am I doing this now? Because I have read a book that has touched me personally. 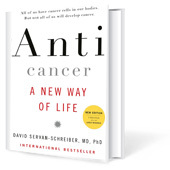 It’s called “Anticancer – A New Way of Life” by David Servan-Schreiber. I keep telling my family and friends that they must read this book, so it occurred to me that perhaps I should write a review about it to better inform those that I touch through this blog. This summer was a tough one for me and my family personally. My older sister became very ill, very quickly and was diagnosed with stage IV pancreatic cancer. See, the doctors discovered it after it had spread to her lungs and gave her severe breathing problems. It was too late to even treat it, which I believe is a blessing. Why? Because I watched another dear sister of mine die from melanoma cancer just two years earlier. She fought for five, very tough, painful years to win the cancer battle, but lost it at the age of 55. Both sisters turned 50, and were diagnosed within a year. That completely freaked me out. I questioned, am I going to get cancer in my 50’s?! I’m going to be 50….someday. A wonderful friend and doctor recommended I read Dr. Schreiber’s book to allay my fears and take control of my health. David Servan-Schreiber was a doctor and research scientist that was diagnosed with brain cancer. His search for preventing relapse and to improve his health led him on a journey that resulted in his book. Anticancer combines his memoirs, a concise explanation of what makes cancer cells thrive and what inhibits them, conventional cancer treatments along with alternative methods to slow and prevent cancer. It outlines the role of diet, exercise, stress management, and environment for reducing your chances for cancer. Cancer thrives on cell inflammation which can be regulated through the above mentioned factors. Our immune system is the front lines for fighting cancer cells and preventing them from developing into tumors. 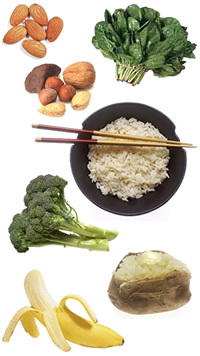 Certain food items or behaviors that have anti-inflammatory properties can help stop cancer from spreading. It’s all about taking care of our “terrain” so that cancer cells can’t grow. 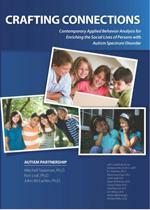 It’s a touching book and yet very informative. He lists scientific studies on foods, herbs, stress management and other alternative treatments for cancer. He doesn’t advocate to not take the conventional approach to cancer treatment with chemotherapy/radiotherapy. He states how our body can benefit from both approaches in cancer treatment. Our traditional Western diet creates conditions for disease and he explains how to follow a science-based, anticancer diet. Spices and herbs (such as: turmeric, thyme, rosemary, basil, mint, oregano) not only enhance flavor in your meals, but have anti-inflammatory properties and help reduce the growth of cancer cells. Eat your grains whole and mixed (wheat with oats, barley, spelt, flax, etc) and favor organic whole grains since pesticides accumulate on them. And of course, avoid refined white flour. Stay connected and involved with friends, family…cultivate happiness like a garden. This review is only a fraction of what you can gain from his book. I highly recommend you read it and apply it to your life to prevent cancer, and for loved ones that are battling cancer. And for those families out there that are treating their child with autism/adhd/allergies/asthma biomedically, this book is for you too. I have always said that the number one reason I’m treating my son’s autism with biomedical treatments is to help him with his autism symptoms, and the second is to provide him with better health so that he can fight off cancer, heart disease, Alzheimer’s, etc. His compromised immune system and chronic inflammation in his body gone untreated would create the optimum environment for cancer cells to grow. I know as a busy parent, that we put our children’s health first at the expense of our own. But I am making a conscious effort to take charge of my own health, thanks to Dr. Schreiber.